One of my favorite restaurants is a hop, skip and jump away from where I work. I've even gotten my team hooked - which is great because now we go there for most work events. The pastas at Galli are incredible. My absolute favorite is the salsiccia. The salsiccia is a mix of rigatoni, sausage, cherry tomato, baby spinach and light marinara sauce. I'm pretty sure I could eat it once a week, if not more - I'm addicted to rigatoni pasta. 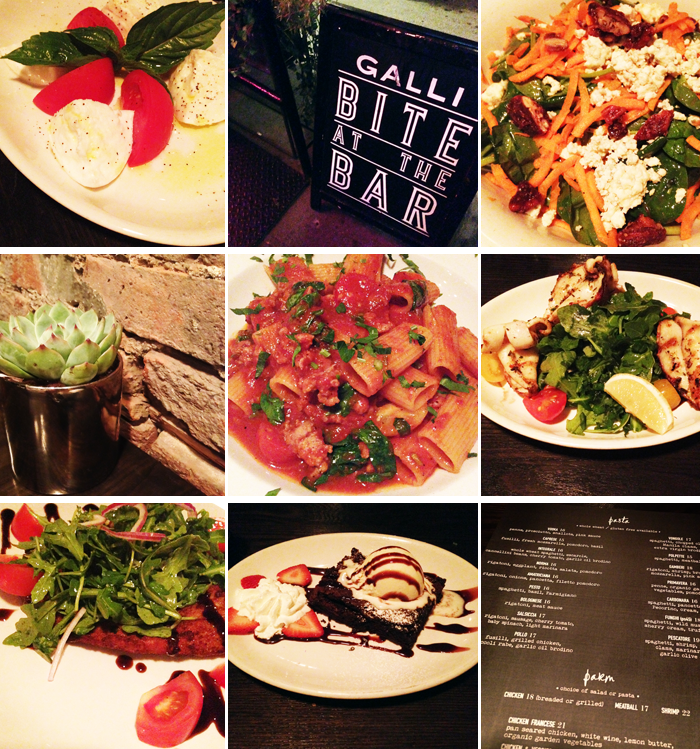 The tagline for Galli is "italian comfort food" and I'd say that about sums up the restaurant in three simple words. *Photographs taken by Gabriela Monsanto.